Over the weekend, I watched Aquaman. I know, I’m late to the game and, probably like a lot of you, surprised it was still in theaters. It’s Aquaman, after all. Yet, it wasn’t terrible. Shocker? It was actually not bad, bordering on decent, even pretty good. Sure, Jango Fett never got out his dual pistols and and fought alongside his son, but maybe that’ll be in the sequel. It’d be a great match-up for Black Manta, who, like all manta rays, can fly and shoot laser beams from his eyes. Or, maybe he would’ve just got eaten by a giant, tentacle monster. So it’s probably for the best that he stayed home, standing on the dock, looking out toward the ocean. Sure, you might think the orange and green armor is ridiculous, the plot slightly campy, but overall, Aquaman delivers laughs. Jason Momoa is at his best when not taking himself or Arthur Curry too seriously. The movie doesn’t have any cheap laughs, either [and I should know, I’m king of them]. 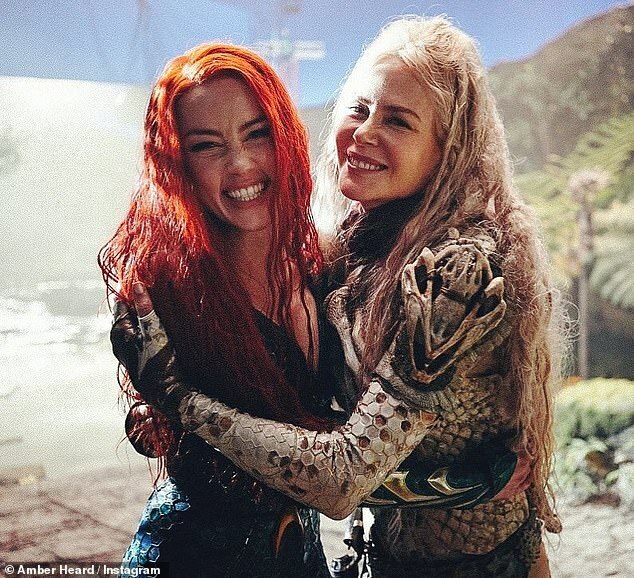 Obviously, everyone wanted to see the movie to glimpse the awesome musculature of a comic book superhero brought to life by Nicole Kidman and Amber Heard (or Jason Momoa). In short, is Aquaman better than Wonder Woman? Probably not. But the movie is definitely better than anything else produced by DC in the last few years. This entry was posted in Humor, Nerdiness and tagged Aquaman, DC, DC Comics, entertainment, life, movies, Reviews, wonder woman. Bookmark the permalink.